I was in charge of dessert for my weekly dinner with my friends. Thinking about Spring and sunshine naturally brought to mind the sweet tartness of lemon. And what balances lemon better than coconut? And so, the coconut lemon swirl cheesecake was born. 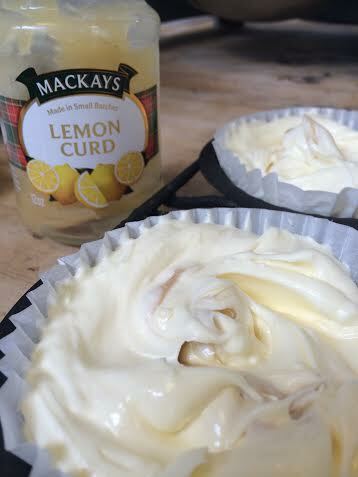 I used rich lemon curd (please either make it yourself or buy a high quality one – it makes a difference), sweetened, shredded coconut and Nilla wafers. 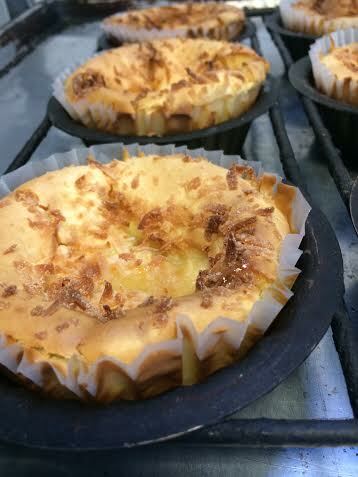 I made individual cheesecakes for my friends to enjoy, but you could bake this in an 8” springform pan, too. If you opt for a springform pan you will want to take the extra step to make a graham cracker (Or Nilla wafer) crust before filling the pan with the cheesecake mixture. 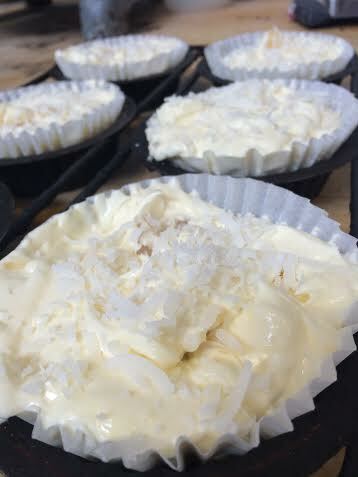 I used giant muffin pans and lined them with giant cupcake liners. The cheesecakes tasted like Spring! Sweet and tart and delicately rich. They were the perfect ending to the lettuce wraps Jess and Aaron made for dinner. (Thanks Jess and Aaron, they were yummy) I hope you choose to make these soon. They brighten a dreary day with their lemony brightness, but they would also be a perfect treat for a Spring bridal or baby shower! 2. 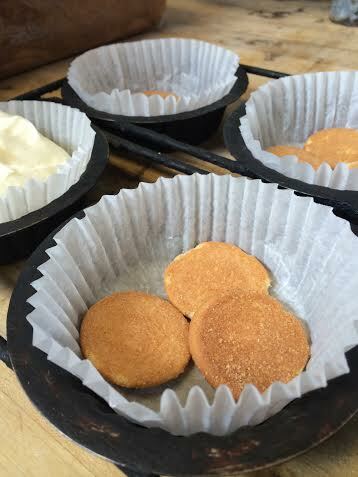 Lay 3 Nilla wafers (single layer) in the bottom of each cupcake liner to form the crust. 4. 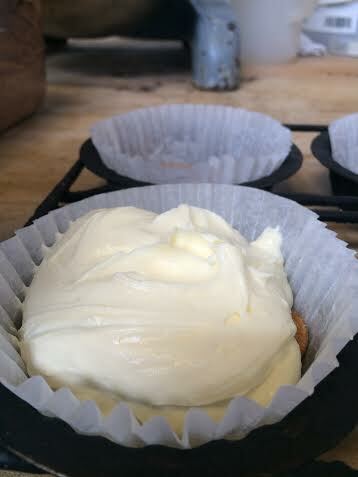 Spoon the cheesecake filling into each cupcake liner, on top of the Nilla wafers, filling them to the top. 7. Bake in a 325 degree oven for about 20-30 minutes or just until set. Serve with a twist of lemon for color!